Andras Bakos and rowing partner, Erik Harrewijn, will soon embark on a trans-Atlantic Ocean expedition in an attempt to make it into the record books. 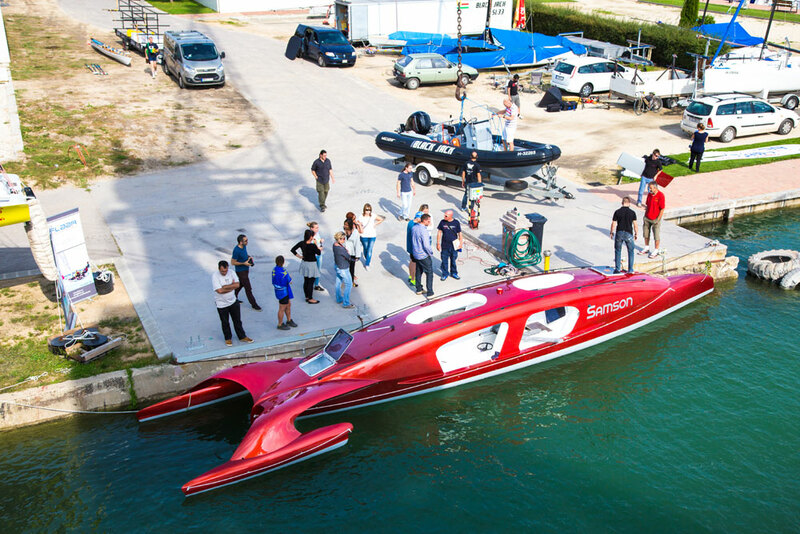 Bakos partnered with LOMOcean Design, the firm that designed the TURNOR PlanetSolar solar-powered yacht and Earthrace, to design Samson. The 4.3 x 9.5 foot vessel was built by Flaar. According to information on LOMOcean Design’s website, Bakos approached the company looking to develop a unique rowing vessel capable of setting a record crossing time. The trip is aligned with Bakos’ passion to protect and preserve the environment. He hopes the ocean crossing will provide a way to raise public awareness of the cause. In May 2015, Bakos and Harrewijn will spend 60 to 80 days aboard Samson, an innovative wave piercing rowing boat that has been optimized for ocean crossings. The vessel is designed for maximum efficiency and the ability to self-right itself. A forward canard will assist with course keeping. The journey will begin with a launch from New York City, across the Atlantic Ocean to Paris. They will row in two hour shifts, nonstop. When completed, they will have rowed an estimated 4,000 miles and will be the first to crossing in the west to east direction. A fundraising campaign can be found at igg.me/at/herowersneeded.